Weekly Recap #345 January 25th – Breach, Last Oasis, Switchblade & More! Nomad Games is proud to announce that their deck-building card game, Mystic Vale, is leaving early access and entering full launch on January 31st. Mystic Vale is a faithful recreation of the Alderac Entertainment CCG, where players took on the role of druidic clans trying to cleanse a curse put upon their land. Mystic Vale has a unique card crafting system, where players can combine card pieces into new, original cards. Its not a free to play game but could be right up your alley and we figured it would be worth a mention. Early access right now is paid at $11.99, but will go up to 14.99 at launch. Next up, Switchblade has gone free-to-play this week on both PC and PS4! Switchblade marries high-speed vehicle combat with traditional MOBA gameplay for an interesting take on the genre. In Switchblade, players work together on 5-man teams, selecting two vehicles a person, each with their own role. These vehicles can be swapped out at any time, offering boundless tactical options. Players also unlock new weapons and upgrades as they play, but without teamwork, victory cannot be achieved. Players must destroy the enemy towers of their opposing team, and ultimately defeat their base’s core. The gameplay graphics remind me of PlanetSide 2 combined with Rocket League. Looks fun, hopefully with the transition its setup in a fair way to be free to play. Shot Online, the Golf MMO from Webzen, which we mentioned in last week’s recap, is now live on PC through Steam. Shot Online has been a staple of the online gaming community for almost 14 years. The game was developed using a proprietary physics engine to improve course dynamics and create realistic animations, especially as it relates to the ball and the geography of any given hole. To support new Steam players, Shot Online is hosting a series of events, including a 30-Day Attendance Event to earn ‘Deluxe Membership’, Guild Events, Level-Up Box events, and a 20% bonus currency event. You’ll also be able to earn extra rewards for uploading screenshots or videos to the community hub. The new trailer you see playing here shows some of the updated gameplay and being on steam now should have the game pick up some new players and expand the overall playerbase. 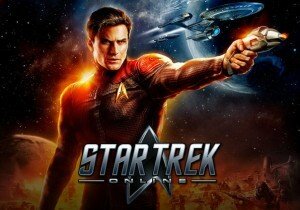 Quick reminder to all you Star Trek fans, the Mirror of Discovery update that we mentioned last week is now live! The event centers around story beats from the first season of Star Trek: Discovery, a hit CBS TV series that served as a revitalization of Star Trek in serialized form. The Terran Empire’s Captain Killy will make her debut in STO, voiced by Mary Wiseman from the show. Killy has a ruthless reputation and was often mentioned in the series, but has not yet been shown on-screen in the series. Players will be able to unravel the mystery of what happened to her and the crew of the ISS Discovery after it was summoned to the Prime Universe and never seen again. In other news, Last Oasis will be launching into Early Access in Spring of 2019! The nomadic survival MMO’s Early Access date is set to be announced in the coming weeks as well. Last Oasis, set a thousand years into Earth’s future, centers around a cataclysmic event that halted the rotation of the Earth and destroyed the Moon…. Oh that’s not good. Players take on the role of Nomads who must depart humanity’s last refuge, The Flotilla, to gather resources and build Walkers, large wood-punk inspired ships required for world travelling, combat, base building, and harvesting. Large amounts of resources will be destroyed during clan wars, so you’ll have to think carefully about what to attack and when. Player and clan alliances will play a major factor in the game’s world growth. The walkers are freaking awesome looking, and the gameplay reminds me of Wild Wild West with Will Smith and a little bit of the new movie mortal engines. Wouldn’t mind checking this game just for that reason. Looks promising. Speaking of early access, Now that Breach is in Steam Early Access, QC Games has begun addressing the stability and gameplay issues that a small portion of the playerbase has been experiencing as of lately. In addition to this, they’ve revealed a full content road-map leading up to the full launch of the game which is scheduled for later this year. Within a few months, the game will have received new enemies, a challenge system, three new classes, and a new map. The first of these new classes has already been revealed to be the Pyromancer. 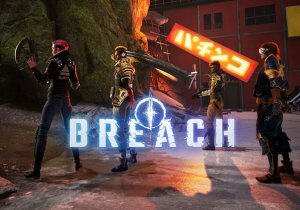 Keep an eye out on MMOHuts.com as more and more gets announced for Breach’s early access. 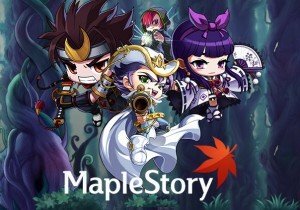 Another follow up from last week’s recap, the latest update to MapleStory, entitled “Black Mage: New Beginnings” is officialy available now from Nexon! In this update, the level cap has been increased to 275, the first increase in more than five years. There will also be new Maple Alliance celebration events, level 200 genesis weapons, and incredible replayable battles. Players who are level 245 or higher can relive the battles in Tenebris against the Black Mage and go on daily quests in these regions as they become permanently available. After defeating the Black Mage, new quests that reward players with Genesis weapon boxes will become available as well. Upcoming events include Gold Richie’s Lunar New Year Party, which begins on January 30th, and Utah’s Farm, which will begin on February 6th. As you might have caught at the end of last week’s recap, Smite has entered closed beta on the Nintendo Switch! Players with a code can enter it into the Switch eShop to start the download. 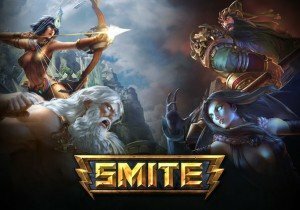 If you’ve not been blessed with a code, you can still buy into the closed beta, which will grant you early access to the game, 400 gems, as well as new skins for Scylla and Loki. Of course this is all part of the crossplay focus they are working towards, giving players the opportunity to use one account to play on all platforms, which is a much needed and awesome new feature if you ask me, though, I can only imagine playing smite on PC, but that’s just me. Also this past week, Daybreak Games has announced recently that PlanetSide Arena, their upcoming multiplayer arena shooter will release on March 26th, 2019! They have hopes to make it a huge part of the Planetside series, and as such have decided to push back its release to this new date to give it the attention it deserves, of course that’s what they always say when there are delays but hey, more prep time is probably better in a game like this. The closed beta is set to begin on January 30th, 2019. On a somewhat similar note, the recently announced Splitgate: Arena Warfare is one step closer to launch with a host of improvements and enhancements to its core features. This is just in time for a Closed Alpha test this weekend. Splitgate: Arena Warfare is a fast-paced multiplayer shooter that uses player-controlled portals to create an all-new dimension of arena combat. 1047 Games revamped four of the Splitgate maps, upgraded the animation, and implemented major audio improvements, as well as added character and gun skin customization for the closed alpha test. Those who are already confirmed for the pre-alpha are guaranteed a spot in this weekend’s test, going on from Saturday, January 26th to Sunday the 27th. Help support the game by testing in its early stages but before hand check out what to expect in the closed alpha test, features and improvements wise, in the site post linked in above. Next up, Gameforge announced recently that they will be relaunching Runewalker’s MMORPG?Guardians of Ember?this year, with a Closed Beta available for limited sign-up starting now. It will feature a host of improvements from Taiwanese developer Runewalker (creators of Runes of Magic – Guardians of Ember) and will deliver to players an action-packed quest to defeat evil in this re-release. Guardians of Ember will combine Hack ‘n’ Slash and MMORPG genres into an action-oriented multiplayer title. Four races and six character classes will be offered to players, with endless options to optimize their skillsets. Guardians of Ember will also be a free-to-play title, with fifty-eight regions, over sixty randomized dungeons, and foes from all walks of life. And finally for our last bit of news, Jason, our lead writer over on MMOHuts.com, sat down with a few of the developers behind the new Total War: Three Kingdoms game to talk about new mechanics and systems that will make their franchise debut with the new title. You can check out the interview in its entirety at the link above. A WildStar beta player breaks down beta access for testers, pre-orders, and the general public.